Mannequin duo FEMM recently got together with SheBops, an online magazine that exclusively covers female artists. As legend goes in 2013 over 300,000 mannequins disappeared. No one really knows what happened as there were barely any witnesses to the event. The exception being two mannequins who were able to cheat their fate, RiRi and LuLa. Now represented by their agents Honey-B and W-Trouble, they begin to navigate the world and try to understand the thinking of humans who try to oppress them. Since seemingly debuting out of nowhere in 2014, the girls have amassed an underground cult following especially among international J-POP fans. Back in October 2017 FEMM dropped their very first cover album 80s/90s J-POP REVIVAL, taking some of Japan’s most beloved classics from that era and making it their own. Standouts include their take on Wink’s Samishii Nettaigyo, Kome Kome Club’s Rouman Hikou, Watanabe Misato’s My Revolution, and hitomi’s Candy Girl. Want to hear the mannequins take on their musical growth, feminism, and their oversea fanbase? Of course you do, check it out below! How exactly did FEMM do an interview when mannequins can’t speak? Worry not, they had the answers ready on handy poster boards. A full transcript of the interview can be seen below. How has FEMM’S AGENCY SYNDICATE grown since releasing the debut album Femm-Isation in 2014? H-B: Having given amazing opportunities, we think FEMM and us agents could grow a lot in these years. Especially in the fashion area, FEMM has appeared in various brand’s shows and shoots and this really is an honor for them originally being fashion mannequins. W-T: FEMM is spreading by the day and not only in Japan, but having foreign FEMM agents (fans and supporters) is a big motive for them. What is your message with 80s/90s J-POP REVIVAL as an album? W-T: We didn’t want it to be just another cover album, so we kept the concept of the original song alive and added some FEMM-ness to it! What inspired the concept of updating classic J-Pop hits for your second album, as opposed to completely original songs? 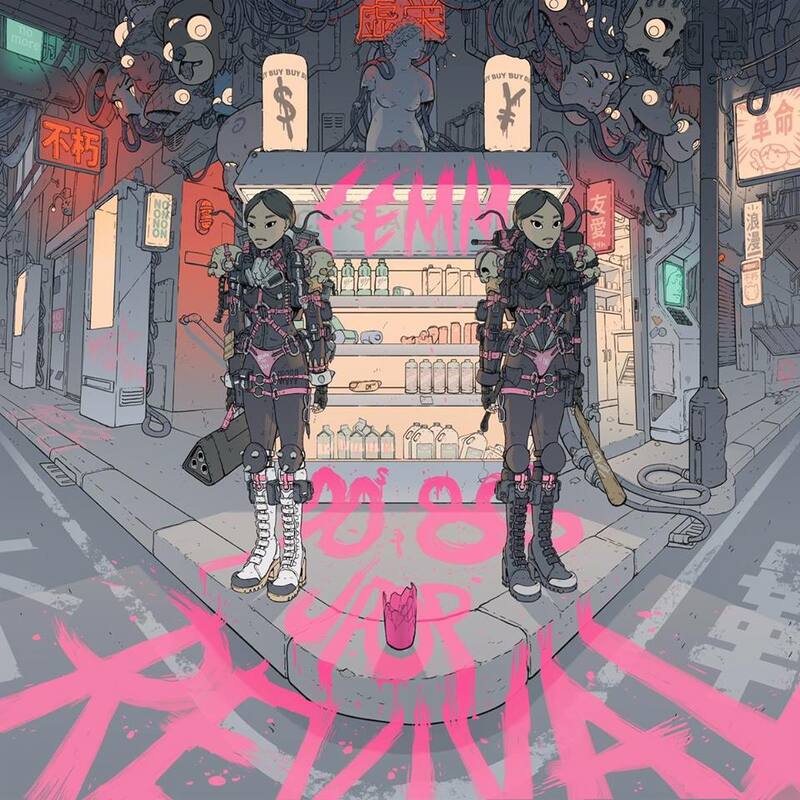 H-B: Since “PoW!,” the lead song of FEMM’s major debut mini-album, we had the concept “REVIVAL” in mind. Afterwards, FAMM’IN (FEMM, FAKY, Yup’in) being assigned as Shibuya performance ambassador they have covered “Konya wa Boogie Back,” which is a Shibuya inspired song that made a big hit in the 90s. 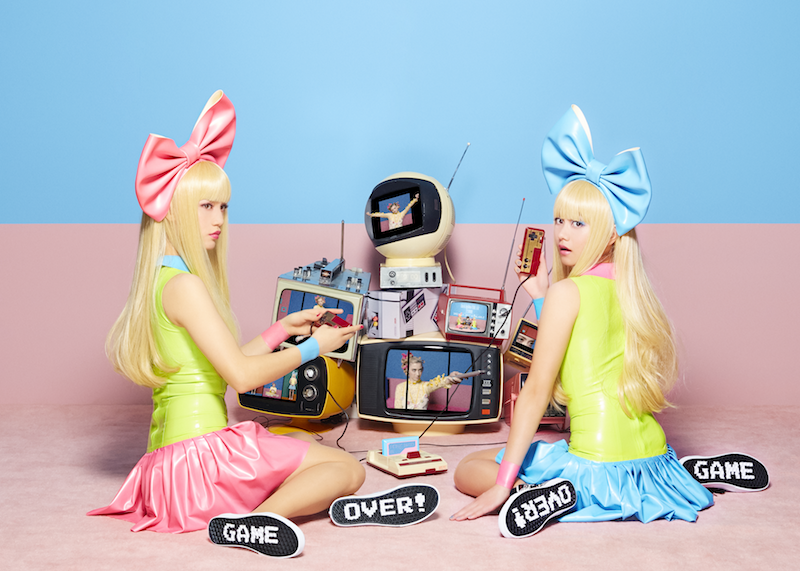 FEMM were really hooked on this song, so we started to have them try other songs too. W-T: Bringing back the 80s and 90s is a trend right now. Both in the fashion and music area. Which song did you have the most fun updating for 80s/90s J-POP REVIVAL? H-B: RiRi loved “Samishii nettaigyo.” We always had requests for FEMM to cover WINK, because they are both girls’ duo and have a similar vibe. Finally, we could make it happen! We even made a MV that is a shot by shot cover of the original. W-T: LuLa enjoyed all the songs, but especially loved “Konya wa Boogie Back.” It has a unique feel to it. But again, it was hard for LuLa to figure out how to deliver the humanness in this song. What story does the artwork for 80s/90s J-POP REVIVAL tell? Riri: The artwork used on the album cover, and also in one of the singles, was by Max Prentis. Wardrobe and Backgrounds all have a special futuristic taste. FEMM really loved it! Lula: Four artists who have been influenced by Japan’s animation did our artwork for 80s/90s J-POP REVIVAL. It really has [an] 80s & 90s feel to it, like “AKIRA” and other Jap-animation, comic worlds. All the artwork [is] very unique and original, so please check it out in details! Is there one song in particular on 80s/90s J-POP REVIVAL which you think captures the spirit of the album? H-B: RiRi would say “Samishii nettaigyo” by WINK. There are similarities in these two duos, and also having to cover WINK’s whole MV has become a big honor for FEMM. W-T: For LuLa, it would be “Konya wa Boogie Back.” FEMM has been performing this song for a while with fellow artists like FAKY, Yup’in, AMIAYA and UNA. Also, FEMM usually are based in Shibuya, and this song is like a theme song, so why not love it hard! ?